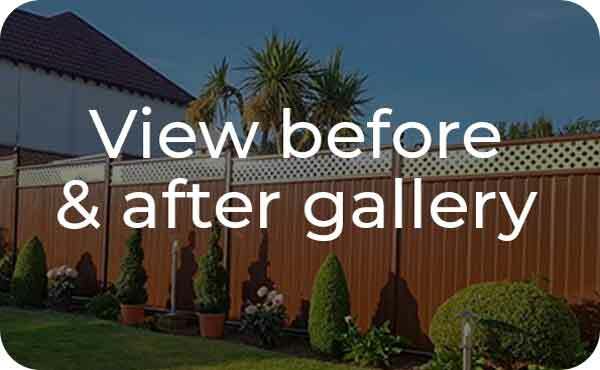 Having worked in the print industry for 12 years Jay decided he needed a fresh challenge, and a garden fencing product like ColourFence was just what he had been looking for. Initially, he was impressed by the quality of the product, but it was the company philosophy and commitment to customer service that convinced him that ColourFence was for him. He was so enthusiastic about the possibilities of this new venture that it wasn’t long before his father Ron became equally excited, and a father and son partnership was forged. Jay and Ron are fully trained on how to survey and fit ColourFence; no casual contractors are used. They both feel that customer satisfaction from initial contact to job completion is of paramount importance. 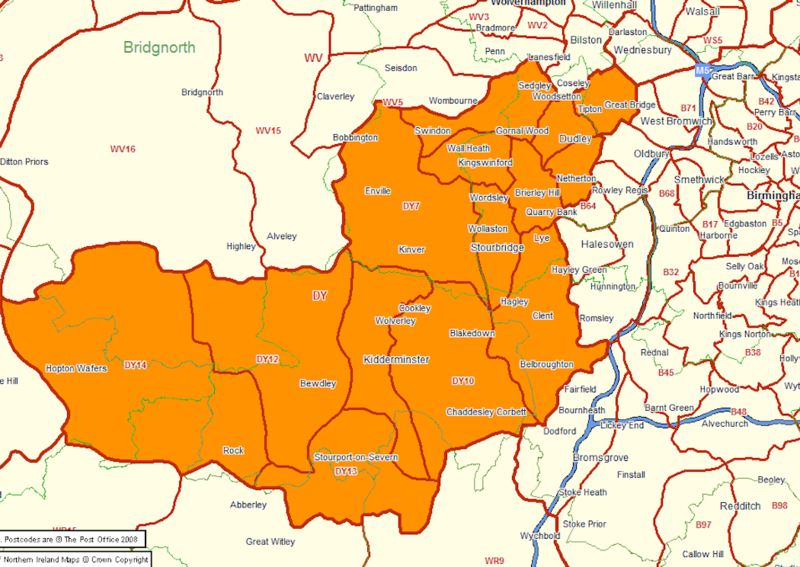 They are committed to giving customers in Dudley, Kidderminster, Stourbridge and the other local areas, “garden fencing to be proud of”. 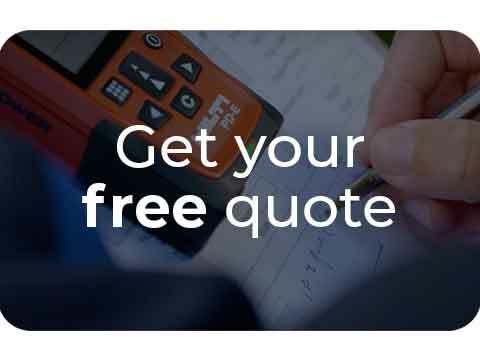 Whether you’re looking for a Dudley fencing contractor, or simply want to get a quote, click here to get in touch today. You can also view some of ColourFence Dudley’s work at Clent Nurseries where they have installed a classic brown ColourFence with matching trellis. 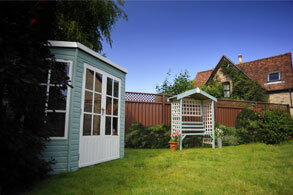 The ColourFence Dudley team offered me and the other half a fantastic friendly service. 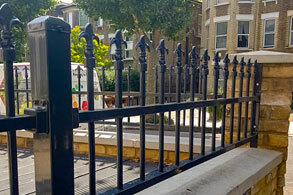 Their understanding of the Job in hand, as well as the knowledge about the fence, was fantastic even down to the special alloy the fence is made from which was great as the other half was initially sceptical of the cost you just can’t compare this fence to wood, not at all! ( I am now a fence nerd by the way!!!) The respect they showed to our elderly neighbour during the initial fitting was great as she was concerned about her many years of gardening being damaged. The ColourFence team made sure she was at ease with the process and she was given the reassurance she needed. Since having my new metal garden fence installed, my neighbour has asked for a quote for her tired old fence at the rear of the property, which would tie in nicely with mine. The team definitely went the extra mile and I'm very happy with the finished product. "A fantastic job done by ColourFence Dudley! They replaced my old wooden fence, with a fantastic new Colourfence one that needs no painting/preserving or maintenance! They are lovely chaps, very polite & friendly, turn up when they say, left my garden secure overnight & they cleaned up after themselves! Absolutely brilliant service. Highly recommend"
The ColourFence Dudley team spent 2 days removing our old fence and erecting our new ColourFence, and what a team they were. They knew exactly what was needed to produce what I can only say is a transformation that made us feel like we were in another garden. I worked with them as far as decisions about the small details that are needed to ensure that the end result is exactly what we wanted to see. The team paid great attention to every detail, I would recommend them to anyone who wants a ColourFence as they promote the product and truly believe in what they are doing. They helped inspire us to completely transform our garden, something which we are currently still working on. "Omg what a fantastic job you have done boys. I absolutely love my fence. A job is never to big for you. It was quick and you didn't leave any mess what so ever. I would recommend to any of my friends.. thank you so much!!! Can't wait untill the other side of the fence is ready to be sorted for you to do." 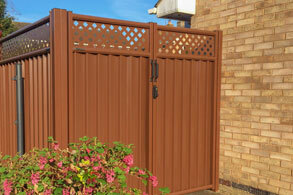 "Myself and my partner recently used ColourFence for our garden from recommendations. We couldn’t be more happy with the job. Jay and Ron are really friendly and we felt comfortable with them being at our home at all times. I could not be more happy with the service that we received. We have told family and friends about this company and would certainly use them again if we needed to." "Professional honest polite and approachable people.. Father and son team. Ron and Jay. They have brilliant product knowledge, can explain tech info and in simple terms as required by customer detailing all from other options available to industry standards / requirements. No hard sale etc Ron & Jay again were really flexible as I had a death in the family and they were happy to juggle thier diary to accommodate all I had going on. Neighbours / passers by all stop to comment how lovely it looks and has lead to new leads being Gena rated which I'm happy to endorse. Just look at the pics.. I don't need to say more..thanks again." "We would like to thank you again for your hard work and professional service in fitting our new ‘colour fence’ with trellis and gate. You did a superb job and the quality of the work is outstanding. You and your team were very polite, punctual and professional. A brilliant service from quote to completion. Thank you so much." "I have just pulled on my drive and I am so pleased with the fence it looks great and so much better than before." "The lads from Dudley were excellent in the work, the product is first class we are very pleased and would recommend them and the product to our friends and family." "Jay and Ron came and gave us a price which we were happy with and we chose Green. We changed our mind after viewing a job they had recently done and went Blue ! They are really nice guys took away our old fence and over two days we got an amazing new Color Fence ! These two were professional, did a great job and very neat and tidy and friendly. We are over the moon and with the 25 yr guarantee all we have to do it wash it with a hose to clean. This was the best solution as we researched fence options as painting a fence every few years was not something we wanted to do. I would 100% recommend Color Fence and Jay and Ron fitting you won’t be disappointed. Our neighbours and friends comment on how nice our fence is and the transformation to the garden is fantastic. Absolutely a five star experience. Thanks guys 👍🏼"
The Highest quality fencing! I can't recommend Jay and his team enough!